Video Production Process. There's more to us than shooting & editing! There’s more to a project with us than shooting and editing! Here’s what you can get from working with London Corporate Media. 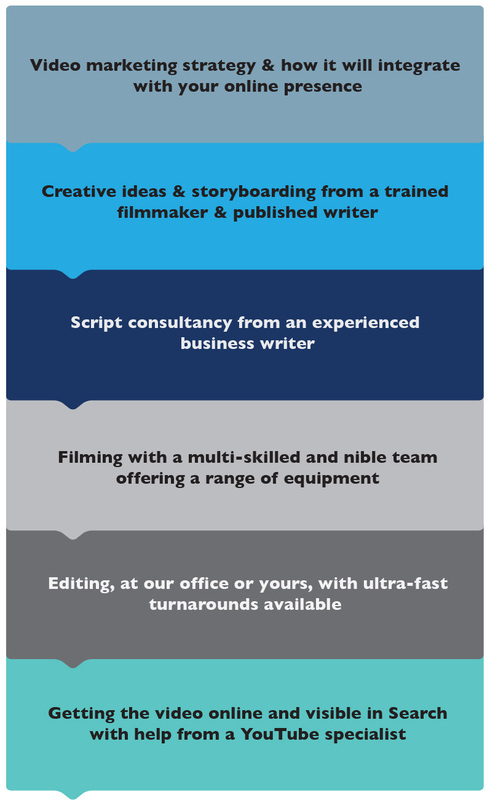 We cover a wide variety of projects, from simple “turn up and shoot” to video content marketing programmes.